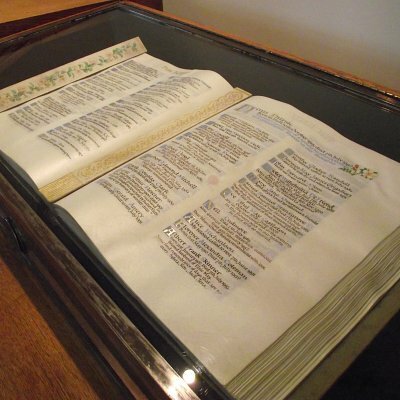 The book of remembrance is on view daily in a display cabinet in the Book Room. Please ask the office if you are not sure about its location. The Book consists of a number of hand-made, richly-bound volumes and has a page for every day of the year. Usually, the entry is placed on the date of death but other anniversaries can be chosen as well. The pages are turned daily. Flowers and cards can be placed in the Book Room with the permission of the manager. 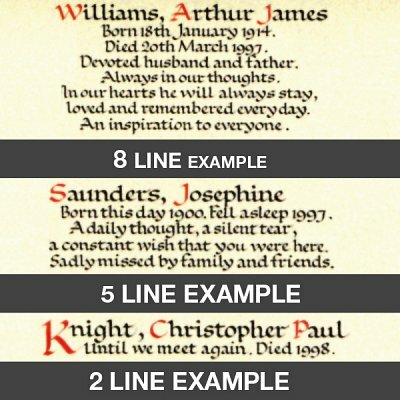 The Miniature Book of Remembrance and Memorial card are intended as personal keepsakes or for sending to friends and relatives who cannot easily visit the Book Room.